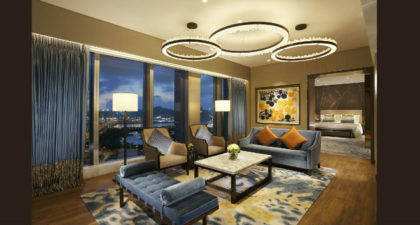 Featuring Hollywood-inspired décor, Studio City in Cotai ushers in a new era of entertainment in Asia. This luxury hotel features art-deco architecture, a diverse collection of entertainment, world-class shopping and exclusive dining options. For visitors seeking a bit of a thrill, take a ride on the electric Figure 8 Ferris Wheel, the Golden Reel. Family guests can also enjoy Warner Bros. Fun Zone or DC’s first-ever 4D entertainment facility based on Batman, the Batman Dark Flight. 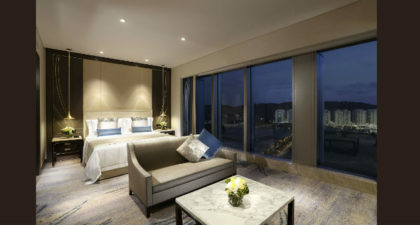 Guest rooms are housed in two towers: the Star Tower and the Celebrity Tower. 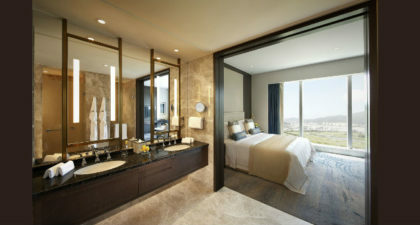 Be advised, guests roomed in the Celebrity Tower do not have free access to the gym facilities and indoor pool. Shuttle bus services to major attractions in Macau are available. 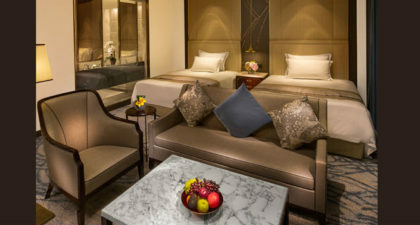 Room prices start at 1000 HKD. Discover the ultimate resort experience of amazing sea views and aqualife at the MGM Macau! 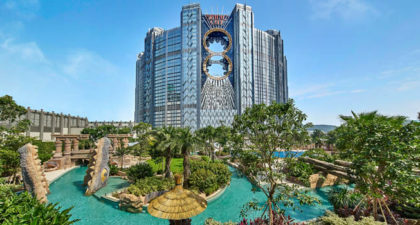 Wynn Macau gives you the ultimate Las Vegas experience, right here in Macau.